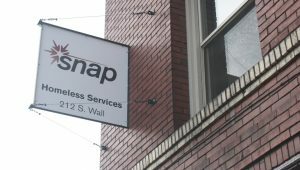 With the only licensed, bonded and insured nonprofit home repair program in Spokane County serving low-income households, SNAP routinely faces an avalanche of demand from residents each year who are trying their best to maintain safe and secure homes. While entities like the City of Spokane, Aging and Long-Term Care of Eastern Washington, and Spokane County provide consistent program support, that funding comes with limitations. Add in an aging housing inventory and it’s no wonder the gap between local home repair needs and available resources remains considerable. That’s why there is cause for celebration when SNAP receives news of a contribution to its home repair efforts from the private sector. 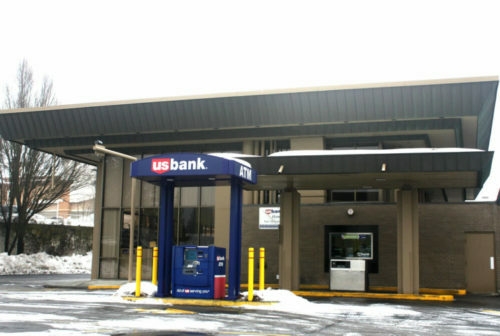 Near the end of 2016, U.S. Bank Foundation stepped up with a generous $10,000 grant that will have a significant impact, according to SNAP’s Director of Housing Services Chris Davis. SNAP prioritizes requests for no heat, no water and no sewer because any of these situations can make a home unlivable. In the winter months, the calls for help come in at an increased rate. While restoring heat, water and sewer service takes precedence, there is still plenty of need for accessibility modifications and repairs to address other health and safety issues. In her work as a SNAP housing specialist, Tonya Mitchell works with residents who reach the ceiling on available funding. “By focusing on Work, Home and Play, U.S. Bank’s philanthropic and volunteer efforts can have a greater impact on the building blocks of thriving communities, which include stable employment opportunities, a home to call one’s own, and a community connected through culture, recreation and play,” Wellock said. The U.S. Bank gift could help in a wide variety of ways, said Ron Gaunt, Technical Services coordinator with the SNAP Housing Improvements Department. The list of possibilities includes accessibility modifications, insurance deductibles, wheelchair ramps, special tools that might be needed and repairs for clients barely exceeding income limits who have just suffered a traumatic loss like the death of a spouse.